He would turn out to be right - Rayo Vallecano, a team not in the Segunda B but in the Segunda, saw a player with raw potential. A dynamic midfielder with a commanding presence in the air. A player who could pass and tackle and could cover every blade of grass on the pitch week-in and week-out. A player whose long-range passing helped too, and who could join the attack if need be. A player who was, in essence, a tank. And he fit perfectly in Rayo's 4-4-2, partnering up with Míchel in the center of the park and becoming the hottest prospect in world football. During the 2008-09 season, newly promoted Rayo over-achieved and finished in 5th place. And the man who personified the plucky, beautiful, and aggressive team was touted to depart - it became a question of when, not if. Betis, Liverpool, Celtic, Arsenal, Real Madrid and Barcelona were all interested, and Zaragoza were close to a deal, but cash-strapped Rayo ended up selling him and center-back Antonio Amaya for a combined 3.8 million euros to Wigan Athletic (Diamé was worth 3 million euros). 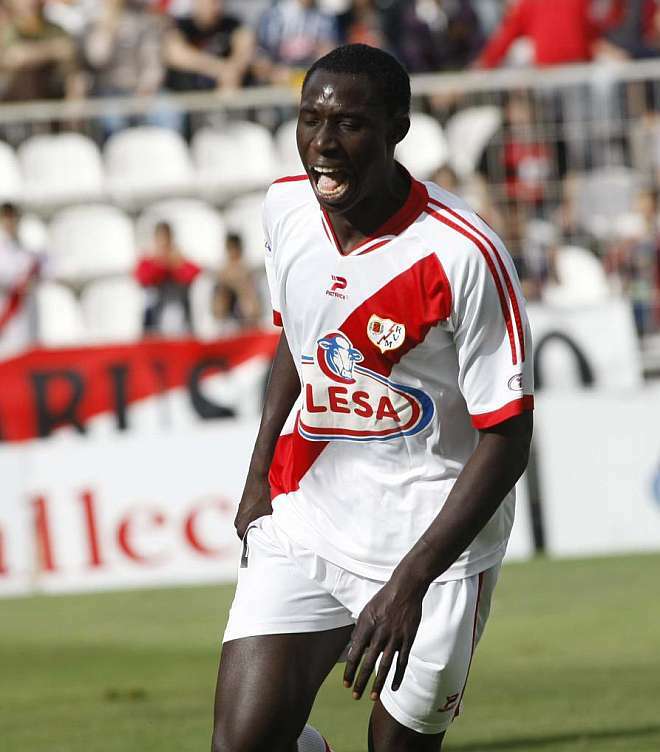 There are priceless players, and then there was Mohamed Diamé. The season after, Pepe Mel was sacked midway as Rayo failed to adequately replace him - and Rayo finished a dismal 11th. And when they did, with Javi Fuego, Rayo earned promotion. Which speaks volumes as to how important such players are. Mohamed Diamé went on to play for Wigan between 2009 and 2012, before joining West Ham and Hull City for two seasons apiece. He now plays at Newcastle.